As part of our on going history, going back nearly 100 years to 1922. We have been contributing to signature projects such as was done in 1922 to assist in paving the surface of Main Street to our next big project to support the new Youth Services Area in the new library on Main Street. Presently, this is the major fundraiser for the club that involves the entire community as businesses and individuals of the community have been so very supportive. This is usually accomplished in the fall of the year. 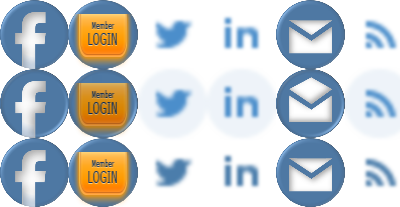 We do have a special day where we are very visible but the actual activity occurs over several weeks. The funds raised are used to fund our youth programs and activities. Each third Tuesday meeting, the Platteville Kiwanis Club hosts the Platteville High School Students of the Month. These students are selected by the the high school faculty. It is a very interesting meeting each month as the students share their talents and/or activities they have accomplished during their high school years. We have such impressive students in the high school. A certificate and small gift is given to each recognized student . The Platteville Kiwanis Club on Saturday April 12, 2014 was living up to its mission statement to improve one community and one child at a time by leading the Kiwanis One Day in assisting with building the Grant County Habitat for Humanity House in Platteville in cooperation with the Circle K Kiwanis Club from UWP. It proved to be a fun time together as everyone worked towards a common goal of providing housing for a family with children here in Platteville. The purpose of Kiwanis One Day is for the Kiwanis Family to work together in service. The Kiwanis Family includes Kiwanis Club the UW-P Circle K club and Platteville HS Key Club. To learn more about Kiwanis One Day, click here. The third annual Kiwanis Chicken BBQ is happening again. This activity raised in $2,700 in 2015 and was donated to the Southwest Health Foundation to support Southwest Health’s Reach Out and Read program, championed by local doctors to improve childhood literacy. The Platteville High School Key Club, a Kiwanis affiliated student organization, also help with making the fund raising event such a resounding success. This activity provides members an opportunity to work closely together and to know each other better as we accomplish the making of the creme for the puffs and the filling of the puffs. It is a way for the Platteville Kiwanis Club to provide support for Dairy Days and share Wisconsin dairy products like Cream Puffs, Ice Cream Bars and other miscellaneous food items. The returns from this activity are used to support community needs and youth leadership activities. We have been impressed by the number of people who tell us our puffs are better than those at the Wisconsin State Fair. Our club organized a free book at the public library for children. We handed out coupons with candy to the children during the parade. This was our first year and we plan to organize more for next year. The was a big success!! The library needed more books to meet the demand. The High School Key Club was another big part to this new activity. Our club members have helped to collect over $1000 since 2014 to help prevent maternal/neonatal tetanus. $1000 will help to save and protect more than 500 lives. We thank everyone in helping to improve the lives of children around the world. The first Wednesday of each month finds our members assisting in distributing bananas to our members of the community who are residents in care centers. We give bananas as a way to interact with the residents and give them something to smile about as well as talk with someone they normally do not see. It is a very rewarding experience and appreciated by the residents. Twice each year, spring and fall, we assist in beautifying our area by cleaning up a 2 mile stretch of highway 80. It gives members a chance to serve our community by cleaning up what others have thrown away without thinking. Again, our members have fun working together on this activity. This fundraiser named for a long time former member and officer of Kiwanis is the oldest fundraiser for the club. This supports Platteville overall while providing a reason for people to participate in other activities during the weekend as well. Returns from this activity helps to support scholarships for Platteville High School students to further their education at UW Platteville or SW Technical College and other miscellaneous activities for youth. Key Club is the high school organization sponsored by the Platteville Kiwanis Club. Key Club assists Kiwanis in carrying out its mission to serve the children of the world. High school student members of Key Club perform acts of service in their communities. 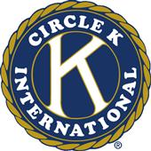 Circle K is the collegiate Kiwanis Club at UW Platteville. Our Platteville Kiwanis Club is the sponsor of this Circle K Club and assists in providing support to the club to help them with their activities. Circle K Club members also assists in the service activities of the Platteville Kiwanis Club and the Platteville Kiwanis Club assists in the service activities of Circle K. It is a lot of fun to get to know the students and to work with them in service activities. The Platteville Kiwanis Club assisted in providing financial support for the batting cages at Legion Park. This has been an activity to support the youth in developing their baseball or softball skills. Funds raised through our various fundraisers have supported this effort. Scholarships are provided to Platteville High School Students to attend UW Platteville or Southwest Technical College. Funds to support these scholarships are raised through our various fundraisers throughout the year. The Platteville Kiwanis Club has been a sponsor of this excellent youth leadership activity. Many students have had great experiences from their participation.. The experiences of these students are often shared at a Kiwanis Club meeting. Platteville Kiwanis Club cooperates with the Chamber of Commerce by being an organizational member and supporting the activities of the Chamber. The Kiwanis Club has supported the directory of the churches in the community which is shared with new residents arriving in Platteville. Platteville Kiwanis Club in 2016 financially supported Family Promise. Family Promise of Grant County, Inc. is a non-profit organization committed to helping children and families experiencing homelessness in Grant County achieve lasting independence. Through Family Promise, congregations, social service organizations and volunteers in the county are working together to meet this mission. one child and one community at a time.